The 2014 annexation of the Crimean Peninsula and involvement in the separatist rebellion in the Donbas region of Eastern Ukraine marked a turning point in post-Cold War relations between the West and with an overtly revisionist Russia. 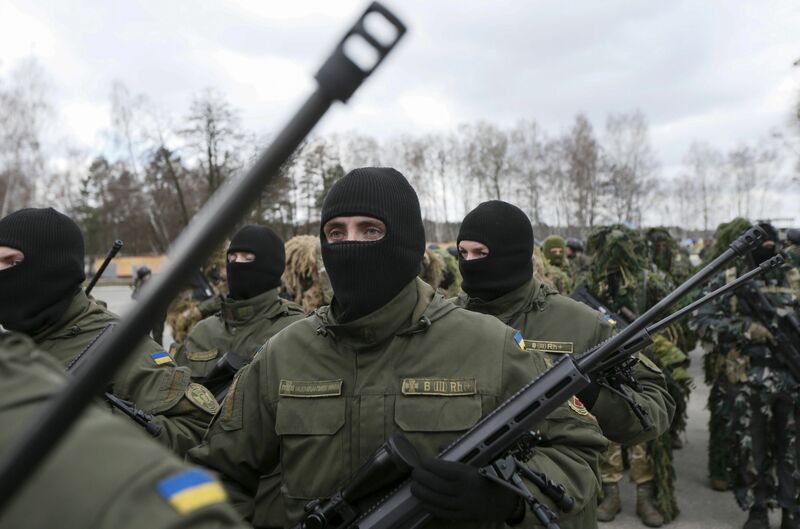 The conflicts in Ukraine also marked a change in how modern warfare is conducted with the formal introduction of asymmetric hybrid warfare tactics; however, the current situation in the Donbas now appears to be remarkably like the conventional conflicts of the past. After a period of intense observation and concern, the West has lost interest in the war between the Ukrainian government and Russian-supported separatists amidst the rise of ISIS and other pressing world matters. The question for Ukrainian government and its military leaders is this: how will they move forward on the ground, should that become necessary once again? Since 2014, the war in East Ukraine has settled into a conflict in which the combatants use relatively conventional force employment defined by clear battle lines, artillery duels, and tank formations. [i] At the same time, the Ukrainian government struggled to bring attention to their battle against the separatists and even “volunteer” Russian forces fighting alongside them. The election of Donald Trump as President of the United States and his attempts to rebuild U.S.-Russo relations threatens to freeze the Ukrainian conflict. In the last several months, the freezing conflict has “thawed” as fresh fighting between the government and the rebels returned to the headlines, along with an unpopular peace plan proposal that seems to have only further provoked conflict. The conflict in Eastern Ukraine provides military analysts and policy-makers with opportunities to examine the concepts and principles of foundational strategists towards an ongoing strategic issue. The Ukrainian military has pushed into the gray zone (between government and separatist-controlled territory) based on the perception that Russian support for the rebels is low, and their belief that this action offers the chance of a real victory. Looking at the current situation on the ground for the Ukrainian military, Henri Jomini and his work The Art of War provides not only a framework for analyzing the conflict at the campaign level, but also for providing a guide to the Ukrainian military in its effort to defeat the two separatist republics. Jomini’s core principles include offensive, rather than defensive, action, as well as massing forces at a decisive point of attack to gain local superiority. [ii] His magnum opus elaborates on these principles and their application, often applying geometric concepts and terms to battlefields and theaters of war for explanations. The Ukrainian military’s early focus on key geographic points in the region and efforts to fully control transportation arteries like Highway 20 as they pushed the separatists back in the summer and fall of 2014 were indicative of a Jominian mindset to their strategy. The Ukrainian strategy shifted towards defensive operations following the unofficial entry of Russian military forces into the conflict in 2015. One could even argue that the Ukrainian military’s failure to consolidate offensive action into a singular crushing offensive allowed key points like Debaltseve to be overrun by counterattacks. Nonetheless, clearly the Ukrainian military has applied Jominian principles in its war strategy in the past and should do so again if it is to make meaningful progress in restoring its sovereignty, bringing western attention back to the conflict, and creating favorable conditions on the ground in future negotiations. Jomini would have disapproved of the stalemate that has largely characterized the Donbas since February 2015. For Jomini, maneuvering for the sake of maneuvering, or even for limited gains, was a mistake that took momentum away from victory. Jomini would have disapproved of the stalemate that has largely characterized the Donbas since February 2015. Ukraine is currently undertaking a creeping offensive, which Jomini would have still believed to be too timid or weak to be effective. The offensive is coming from the direction of Avdivka, Horlivka, and Debaltseve, and appears to be moving along what Jomini would have called a territorial line of operation: the Luhanka River. This is the sort of decisive offensive battle Jomini envisions: one in which a large portion of the enemy force is destroyed or captured. Furthermore, the attacks from the northwest would pull forces from other sectors, especially the south and could allow the Ukrainian military to achieve the force-to-force ratio needed to launch the decisive attack from the south, securing more of Highway 20, a highly advantageous internal line of maneuver for both sides. Although the war would not necessarily end after such a campaign, Ukraine’s position would be markedly improved. The conflict in the Donbas between the Ukrainian government and the separatist republics has illuminated many Ukrainian military flaws. The Ukrainian military has applied Jominian principles to the operational level of warfare previously and by returning to such principles, Ukrainian military planners could engineer an offensive that produces a meaningful victory against the separatists. Jomini’s key principles about the conduct of a military campaign are sound, if simple. The difficulty, as he admits, is in application and execution. [ix] Although Jominian theories should not be the only guidance, they offer a solid framework for the conduct of a campaign when used in conjunction with other modern strategic concepts. Daniel Urchick is the Eurasia & Eastern Europe Fellow at Young Professionals in Foreign Policy (YPFP). He earned his MA in Political Science from Central Michigan University and expects to receive his MA in Security Policy Studies from George Washington University in 2018. [i] Seth G. Jones, Waging Insurgent Warfare. (New York: Oxford University Press, 2017.) 44-45. [ii] Henri De Jomini, The Art of War. trans. Capt. G.H. Mitchell and Lt. W.P. Craighill (Radford: Wilder Publications, 2008), 52-55. [iii] Henri De Jomini, The Art of War. 92-96. Baron De Jomini did not exclusively advocate the use of interior lines and central positions, though. [iv] Henri De Jomini, The Art of War. 66. [vi] Henri De Jomini, The Art of War. 64-65. [vii] Henri De Jomini, The Art of War. 60-61. Jomini gives the ideal situation as having bases of operations both parallel and perpendicular to enemy lines of communication, citing the victories of Napoleon Bonaparte in the campaigns of 1800, 1805, and 1806. For an exhaustive analysis of these campaigns and others of the Napoleonic Wars see David Chandler, The Campaigns of Napoleon. (New York: Scribner, 1973). [viii] Henri De Jomini, The Art of War. 103.